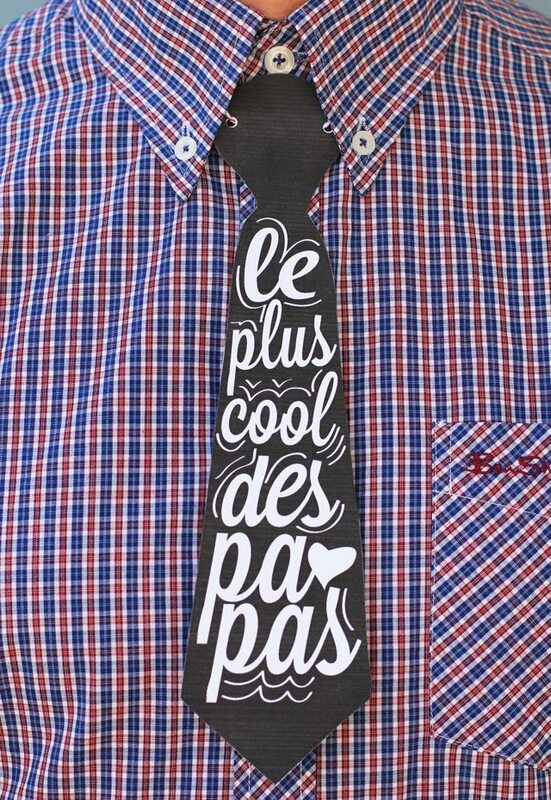 Father’s Day is this weekend – can you believe it? It really snuck up on me this year! No worries though. 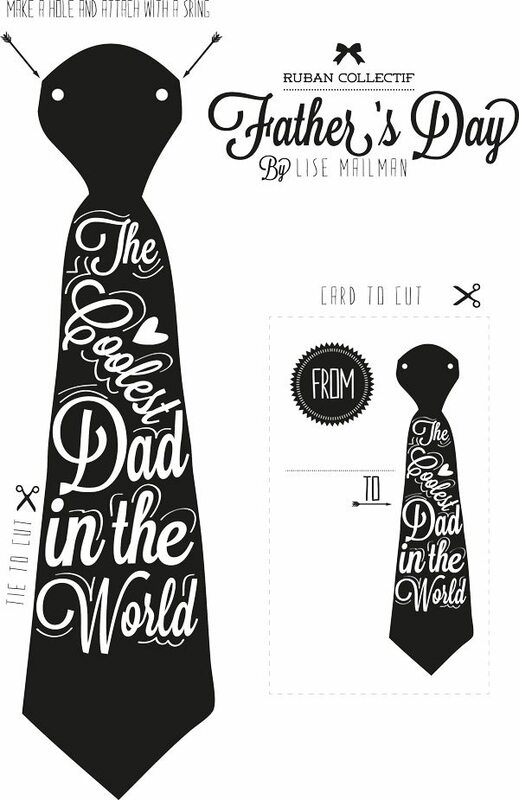 Today I have the cutest printable Father’s Day card to share, created by Ruban Collectif. It’s a card. But it’s also a tie! Cut out the tie, punch a couple of holes, attach a piece of string and marvel at your instant (and super cool) neck wear. I love this idea! So cheeky and fun. Many thanks to Lise of Ruban Collectif for sharing. Click the image below to download your very own!